If you are retired or preparing to retire, money may be a major concern. When you are not earning as much as you used to, even your regular living expenses can become difficult to pay. Additional medical expenses can easily pop up when you retire, and you may also just want extra money with which you can do fun things with your free time. If any of those situations apply to you, the solution may be a reverse mortgage, which is also sometimes referred to as a home equity conversion mortgage (HECM). The first mortgage similar to what we now think of as a reverse mortgage given out in the United States was issued in Maine in 1961. At that time, a family suddenly lost its primary income source. The matriarch went to a local bank and requested aid. The bank official wanted to assist her but new a traditional home loan would only increase the bills the family had. A new system we now know as a reverse mortgage was devised. By the 1990s, the U.S. government took notice of the spreading reverse mortgage trend. Government officials decided to make two major changes. First, they determined reverse mortgages should be regulated to protect reverse mortgage lenders and borrowers. Second, they decided the Department of Housing and Urban Development (HUD) and other government agencies should start issuing reverse loans. 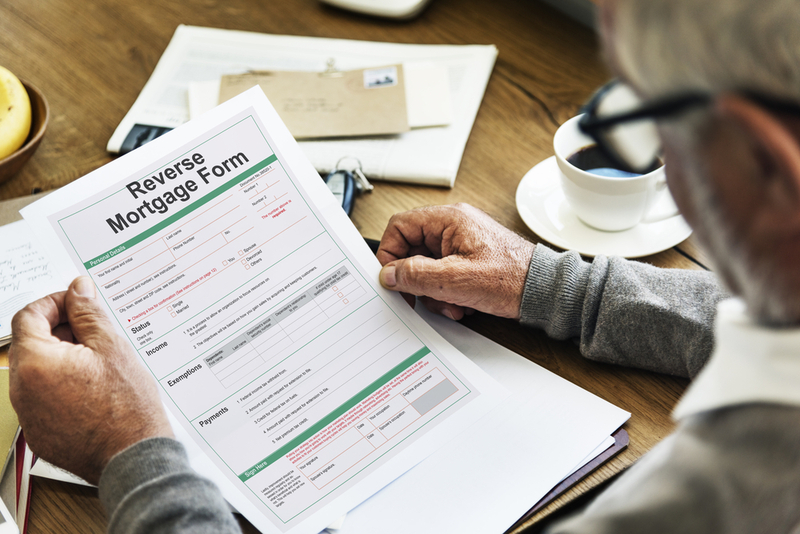 Those government-issued reverse mortgages are now known as HECMs, while loans from private lenders are typically just referred to as reverse mortgages. The reason a reverse mortgage may help you more in retirement than a traditional loan is a traditional home loan requires you to repay it in small chunks at scheduled times, usually each month. If you are already having difficulty affording the cost of retirement, that may add to your money problems. When you borrow from a reverse mortgage lender, the lender can pay you monthly, instead. Under the terms of a reverse loan, a portion of your home equity becomes spendable as cash. The exact amount is determined by a tool called a reverse mortgage calculator. It must be calculated according to government regulations and factors influencing the home’s value, such as its age. Once the reverse loan calculation formula is used, the exact terms of the loan can be established. You can opt to borrow all of that money at once, but a more commonly used option is setting up monthly withdrawals so you will receive checks in the mail from your lender to help cover monthly retirement expenses for as long as equity is still available to borrow. By setting up continued payments to you that way and not having to pay any of them back immediately, you will have more money to use to enjoy your retirement years. A third option is to set up a home equity line of credit. If you make that choice, you can borrow as needed from your home equity until you reach the set limit. Thereby covering your retirement expenses as they arise. However, steady payments may make more sense for you, especially if you want the money to cover monthly living expenses. Another advantage of having a reverse mortgage is the repayment requirement is quite lax. The balance of your loan is not owed in full for as long as you remain a permanent resident of the home. Therefore, it may be many years before you have to pay it back. You also are not necessarily obligated to do so, especially if you have no heirs to whom you wish to leave the home or no use for it when moving to another location. You can simply allow the home to be sold and let the lender keep proceeds up to the owed amount.